This column reviews details on recent recalls, warnings, and approvals. A new boxed warning to highlight the correct dosing for obeticholic acid (Ocaliva). 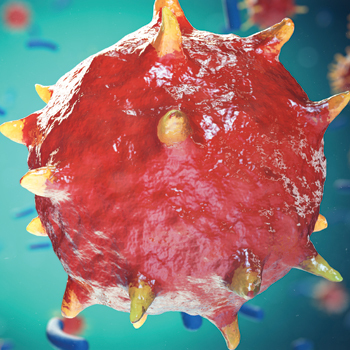 Some clinicians have incorrectly dosed the liver disease drug daily instead of weekly in patients with moderate to severe primary biliary cholangitis, which increases the risk of serious liver injury. The new warning will highlight current recommendations for screening, dosing, monitoring, and management in the prescribing information of the drug label. A new medication guide, required by the FDA, will also inform patients about the issue. A recall by Primus Pharmaceuticals, Inc., of all unexpired lots of flavocoxid (Limbrel) to the consumer level. The FDA requested the recall after receiving 30 adverse event reports of elevated liver function tests or acute hypersensitivity pneumonitis associated with the use of Limbrel products. In all cases, adverse effects resolved after patients discontinued the product, which had been available by prescription as a medical food for the dietary management of osteoarthritis. A recall of 60,000 lots of sterile eye irrigation solution (GeriCare Eye Wash) by Kareway Products, Inc., due to potential microbial contamination. Affected products were packaged in 4-fluid-ounce bottles and have an expiration date of September 2019. An alert that the FDA has received reports of venous thromboembolism (VTE) in patients who received autologous immune cell therapy with the CELLEX Photopheresis System by Therakos, Inc. Since 2012, of seven pulmonary embolism events reported during or soon after treatment, four occurred in patients who were being treated for graft-versus-host disease (GVHD), including two patients who died. In addition, two patients undergoing treatment for GVHD experienced deep venous thrombosis. The FDA recommends that clinicians alert patients and clinical staff involved in extracorporeal photopheresis procedures to the signs and symptoms of VTE that can develop during or after a procedure. A recall of one lot of acyclovir tablets USP (400 mg) by Apace Packaging due to a product mix-up. A small number of blister cards containing the medication may also include torsemide tablets (20 mg). The affected lot was set to expire in May 2019. A recall of one lot of Basic Drugs Brand Senna Laxative tablets (8.6-mg sennosides) due to mislabeling. Magno-Humphries Laboratories, Inc. initiated the recall after a customer reported that a bottle labeled as Senna Laxative actually contained Basic Drugs Brand Naproxen Sodium (220-mg tablets). An alert that the Zoll LifeVest 4000, a wearable cardioverter defibrillator, may fail to deliver treatment if not replaced soon after displaying a service message. Of the 33,570 devices distributed worldwide, about 0.1% have displayed the message, which should be remedied by immediate replacement of the device. The FDA is aware of one patient death related to the issue. A recall of a second lot of amiodarone hydrochloride 150 mg/100 mL injection (Nexterone). Baxter International, Inc. expanded the recall due to the potential presence of particulate matter. Affected lots were distributed nationwide between July 21 and Oct. 2, 2017. Results of a scientific analysis that provide evidence of kratom's opioid properties. The botanical substance is commonly used for recreational purposes, as an analgesic, or to help curb opioid withdrawal symptoms. The FDA, which has been studying kratom to better understand how it works in the body, found that 22 of the substance's 25 most prevalent compounds strongly bind to mu-opioid receptors. At least 44 deaths involving the use of kratom have been reported. The agency maintains that there is no evidence that the substance is safe or effective for any medical use. New restrictions on the packaging of over-the-counter loperamide (Imodium). While the drug is safe to use at approved doses (8 mg/d for OTC use, 16 mg/d for prescription use), very high doses can lead to serious heart rhythm problems and death. Reports of these adverse events continue, primarily among those who intentionally misuse the product, despite the recent addition of a warning to the product label. To foster safer use, the FDA is working with manufacturers to use blister packs or other single-dose packaging and curb the number of doses contained in each package. 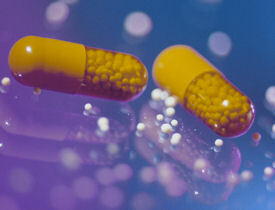 The agency continues to evaluate the drug's safety. Marketing of the Brain Trauma Indicator, the first blood test to evaluate concussion in adults. The test works by measuring levels of UCH-L1 and GFAP proteins in the blood within 12 hours of head injury. In a prospective, multicenter study of 1,947 individual blood samples, the test predicted the presence of intracranial lesions on a CT scan 97.5% of the time and the absence of such lesions 99.6% of the time. Clinicians who incorporate the tool into standard care may be able to rule out the need for a CT scan in at least one-third of patients suspected of having mild traumatic brain injury, according to the FDA. Marketing of clinical decision support software that analyzes patients' computed tomography (CT) results and alerts clinicians of a potential stroke. The Viz.AI Contact application uses an artificial intelligence algorithm to analyze CT images of the brain and sends a text notification to a neurovascular specialist if it detects a suspected large-vessel blockage. The manufacturer submitted clinical study results and real-world evidence demonstrating that the app could notify a neurovascular specialist of large-vessel blockages in the brain sooner than two trained neuro-radiologists could. An expanded treatment window for use of the Trevo clot retrieval device in certain stroke patients up to 24 hours after symptom onset. The device was previously approved for use in patients up to six hours after the onset of symptoms. Apalutamide (Erleada), the first FDA-approved drug to treat patients with nonmetastatic prostate cancer that continues to grow despite treatment with hormone therapy. Safety and efficacy were evaluated in a randomized, placebo-controlled trial of 1,207 patients, who were all treated with hormone therapy. The median metastasis-free survival for patients taking the drug was 40.5 months, compared to 16.2 months for those taking placebo. Common side effects include fatigue, hypertension, rash, diarrhea, nausea, weight loss, joint pain, falls, hot flush, decreased appetite, fractures, and peripheral edema. Severe side effects are falls, fractures, and seizures. Lutetium Lu 177 dotatate (Lutathera) to treat gastroenteropancreatic neuroendocrine tumors (GEP-NETs). The orphan drug is indicated for adults with somatostatin receptor-positive GEP-NETs and is the first radioactive drug approved to treat the rare group of digestive tract cancers. In a randomized clinical trial of 229 patients, those who received the drug in combination with octreotide had longer progression-free survival than those who took octreotide alone. In a second study, 16% of a sample of 360 patients who received the drug reported complete or partial shrinkage of their tumors. Common side effects include lymphopenia, high levels of enzymes in certain organs, vomiting, nausea, hyperglycemia, and hypokalemia. Serious side effects include myelosuppression, development of certain blood or bone marrow cancers, renal toxicity, hepatotoxicity, neuroendocrine hormonal crises, and infertility. It can also cause harm to a developing fetus. Updated design and labeling for the Pentax Medical Duodenoscope Model ED-3490TK. The changes aim to reduce the potential for patient fluids to leak into the closed elevator channel and underneath the distal cap. The manufacturer had previously recalled all ED-3490TK duodenoscopes to replace certain device parts and update the operation manual to recommend annual maintenance. The FDA continues to monitor the association between reprocessed endoscopes and transmission of infection. The RadioGenix System, which produces Technetium-99m (Tc-99m), the most widely used radioisotope in medical imaging. Tc-99m is a diagnostic agent used with imaging devices to detect potential diseases, such as coronary artery disease and cancer, and to evaluate lung, liver, kidney, and brain function. The system is now approved to produce sodium pertechnetate Tc-99m injection, which may be injected intravenously, instilled into the bladder or eye, or used with other FDA-approved imaging drugs to examine specific tissues and organs. The most common side effects of Tc-99m are allergic reactions, including anaphylaxis. Note: The FDA states that drugs are not always commercially available immediately after approval.